onder redactie van Dr. E.W. Bullinger. Dr. E.W. Bullinger gaf als redacteur meer dan 20 jaar het tijdschrift "Things To Come" uit. Naast hem leverden vele bekende medewerkers hun bijdrage aan "Things To Come". Ethelbert William Bullinger werd op 15 december 1837 geboren in Canterbury, Engeland. Hij was een rechtstreekse afstammeling van de grote Zwitserse Hervormer Johann Heinrich Bullinger, die Zwingli opvolgde in Zurich in december 1531. De volledige terzijde zetting van het volk Israël pas plaatsvond in Hand 28:28. Deze handeling van God de ware dispensationele grens aangeeft. De "Openbaring van de Verborgenheid" exclusief aan de Apostel Paulus was gegeven na de Handelingen periode. Dr. E.W. Bullinger stierf op 6 juni 1913 in Londen, Engeland. Hij liet een enorme schat aan bijbelstudie-materiaal achter, die ons kunnen helpen bij het onderzoek van de Schrift. Hieronder bevindt zich "The Companion Bible". Bullinger begon hieraan te werken in 1908 en werkte hieraan tot zijn dood in 1913. Hij was toen klaar met het Oude Testament en met de eerste vier boeken van het Nieuwe Testament. 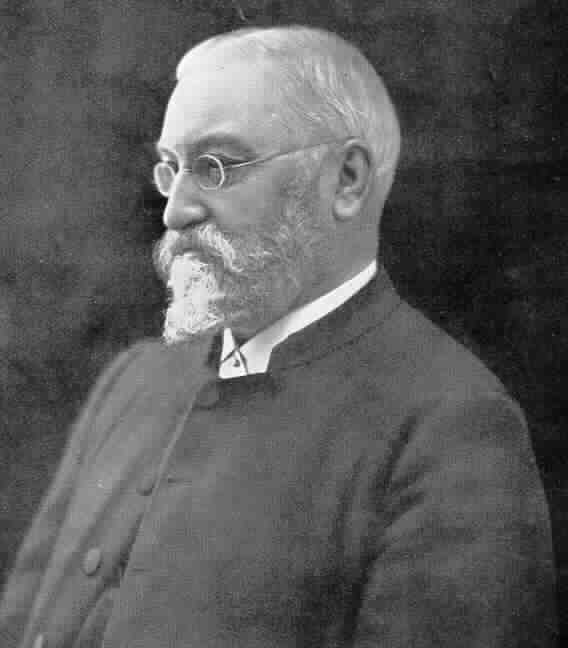 Charles H. Welch, die Bullinger ondersteund had in het schrijven van de Companion Bible, mocht helaas zijn werk hieraan niet voortzetten. Anderen, die overigens Bullinger's visie niet geheel deelden, hebben na Bullinger's dood "The Companion Bible" vanaf Joh. 10 verder afgemaakt. Hierdoor heeft de Companion Bible helaas aan waarde ingeboet. Gelukkig waren de Appendixes door Bullinger zelf al afgerond. Omdat juist deze Appendixes de waarde vertegenwoordigen van de Companion Bible, hebben wij alle 198 Appendixen op onze website opgenomen. De artikelen werden gepubliceerd in Things to Come. 1872 (Editor) Portuguese Reference Bible . Trinitarian Bible Society. 1880 Muziek. "Hymns for the Waiting Church". 1881 Muziek. "The Stars are Shining Bright and Clear. Carol" (for Christmas), The Parish Choir, no. 150, p. 598, Medford. 1887 Boek. "A Critical Lexicon and Concordance to the English and Greek New Testament". 1887 Pamflet. "Ten Sermons on the Second Advent" (later title: Minor Works ). Sermons preached in Oxford, November. 1887 Pamflet. "The Second Advent in Relation to the Jew". Ch. VII of Minor Works . 1889 Pamflet. "God's Purpose in Israel: In History, Type and Prophecy". Address at Mildmay Conference, London, October. 1889 Pamflet. "The Name of Jehovah in the Book of Esther". 1889 Muziek. "Fifty Original Hymn-Tunes". 1889 Muziek. "Hymns for Bible Reading". 1889 Muziek. "Hymns on the Second Advent". 1889 Muziek. "Sixty-Six Old Breton Tunes (also titled Chants Chrétien ). 1890 Pamflet. "The Inspiration and Authority of Holy Scripture". Address at National Protestant Congress, London. 1890 (Editor) "A Key to the Psalms" , by Rev. Thomas Boys, M. A. 1891 Pamflet. "The Spirits in Prison: An Exposition of 1 Peter 3:17-4:6". 1892 Pamflet. "Christ's Prophetic Teaching in Relation to the Divine Order of His Words and Works". 1892 Pamflet. "The Kingdom and The Church: or, The Parables of Matthew 13". 1892 Pamflet. "The Ways of God in Grace, Illustrated by the Ways of God in Creation" (A Bible Reading … June 23). 1893 Pamflet. "Things to Come: An Epitome of Prophetic Truth". 1893 (Editor) Rome's Tactics: or, A Lesson for England from the Past , by William Goode, D. D.
1894 Boek. "Number in Scripture: Its Supernatural Design and Spiritual Significance. Kregel Publications, Grand Rapids, Mich.
1894 Artikelen. "The Epistle to the Romans and the False Gospels of To-day". 1894 Artikelen. "The Name and Order of the Books of the Old Testament". 1895 Pamflet. "“Also”: A Bible Study on the Usage of This Word in the New Testament". American Christian Press, New Knoxville, Ohio. 1895 Pamflet. "Sunday School Lessons. 1 st , 2 nd , 3 rd Series". 1895 Artikel. "Fulfilled Prophecy: Edom". Address at York Conference, May. 1895 Artikel. "The Practical Power of Our Hope". Address at Liverpool Conference, Nov.
1895 Gedicht. “He Gives in Sleep” (in Things to Come ). 1896 Pamflet. "Holiness: God's Way Better Than Man's". 1896 Pamflet. "Sunday School Lessons. 4 th Series". 1896 Artikel. "Was Peter Ever at Rome?" 1897 Pamflet. "Sunday School Lessons. 5th Series". 1897 Artikel. "By Me Kings Reign". Sermon preached at St. Stephen's Church, Walthamstow, Trinity Sunday Morning, 1886. 1897 Artikel. "First and Last Words in Scripture". 1897 Artikelen. "The Hope of His Calling". Address at Mildmay Conference, Oct. 1896. 1897 (Editor) Holy Scripture: The Sole Authoritative Expositor of Divine Truth , by William Goode, D. D.
1898 Boek. "Figures of Speech Used in the Bible". Baker Book House, Grand Rapids, Mich.
1898 Pamflet. "Intoned Prayers and Musical Services: Are They in Harmony with the Worship of God “in Spirit and in Truth”?" Address at Evangelical Protestant Union, Manchester, Oct. 1898. 1898 Artikel. "The Fixing of Dates". 1898 Artikel. "The Last Seven-fold Command of Christ". 1898 Artikel. "The Seven Church Epistles As a Whole: Their Interrelations". 1898 Artikel. "The sufferings and The Glory: or, The Transfiguration and Its Lessons". Address at Prophecy conference, Keswick, Jul. 1895. 1898 Artikel. "This is My Body". 1898 Artikel. "What Is the Spirit Saying to the Churches?" 1899 Artikel. "Anglo-Israelism: The Root of Its Error. Address at Prophetic Conference, n.d."
1899 Artikel. "The Dispensational Position of John's Gospel: or, The Fig, the Olive, and the Vine". 1899 Artikel. "The Guilty by No Means Cleared". 1899 Artikelen. "Rationalism and Its Relation to Romanism". Address at National Protestant Congress, Manchester, Nov.
1899 Artikel. "The Royal Road to Holiness". 1899 Artikel. "Where We Ought to Worship". 1900 Pamflet. "The Vision of Isaiah: Its Structure and Scope". Jeffrey S. Bowman, 17692 Flintstone Lane, Huntington Beach, Calif.
1900 Artikel. "Far Off and Made Nigh". 1900 Artikel. "Truth for Times of Trouble". 1900 Artikel. "Where is He?" 1900 Muziek. "Hymns for Christian Conferences". 1901 Artikel. "Knowing Christ after the Flesh". 1901 Artikel. "The Paulicians: A Lesson from the Past". 1901 Artikel. "The Zionist Medal and What it Teaches Us". 1902 Boek. "The Apocalypse or, The Day of the Lord" (see Articles, 1900-1901; new title: "Commentary on Revelation" ). Kregel Publications, Grand Rapids, Mich.
1902 Boek. "The Church Epistles" (see Articles, 1898). 1902 Pamflet. "The Rich Man and Lazarus: or, The Intermediate State?" 1902 Artikelen. "The Christian's Greatest Need". Berean Pub. Trust, Brittania Warehose, Cranleigh, Surrey. Nederlandse vertaling: Wat de Christen het meest nodig heeft. 1902 Artikel. "The Great Conflict of the Ages: Gen 3:15 - Rev. 20:10". 1902 Artikel. "The Potter's House". 1903 Artikel. "A Bible Acrostic". 1903 Artikel. "The Darius Papyrus" (with later corrections). 1903 Artikel. "The Divine Plan of the Ages". Address at Mildmay Conference, London, 1902. 1903 Artikel. "The Fallacies of Evolution". 1903 Artikelen. "The Oldest Lesson in the World: or, The End of the Lord as Seen in the Book of Job". Scripture Research Inc., P.O. Box 518, Atascadero, Calif.
1903 Artikelen. "“S” and “s”: The Use and Usage of the Word “Pneuma” (Spirit) in the New Testament". 1904 Artikelen. "The Gospel of the Kingdom: As Set Forth in the Parables of the Sower, the Dinner, and the Supper". 1904 Artikelen. "The Two Prayers in the Epistle to the Ephesians". 1905 Boek. "The Giver and His Gifts" (see 1903, “S” and “s”; new title: "Word Studies on the Holy Spirit"). Kregel Publications, Grand Rapids, Mich. Chap. 1, 2, and Appendix. The Word Inc., G.P.O. Box 450, Adelaide, South Australia. 1905 Pamflet. "Jehoshaphat: A Lesson for Our Times". 1905 Pamflet. "The Resurrection of the Body". 1905 Pamphlet. "Sheol and Hades: Their Meaning and Usage in the Word of God" (see 1902-1903 Articles). 1905 Artikel. "The Laws of Correspondence in Holy Scripture". 1905 Artikelen. "The Two Natures in the Child of God". Truth For Today, Lafayette, Ind. 1905 Artikelen. "The Zionist Movement in Its Relation to Prophecy". Address at Prophecy Investigation Society, London, Apr. 1904. 1906 Artikel. "The Knowledge of God". 1906 Artikel. "Leaven: Its Biblical Usage and Interpretation". 1907 Boek. "How To Enjoy the Bible". American Christian Press, New Knoxville, Ohio. 1907 Pamflet. "The Lord's Prayer: Its Dispensational Place and Interpretation". 1907 Artikel. "The Good Deposit: or, Paratheke". 1907 Artikelen. "The Lord's Day: Rev. 1:10". Address at Prophecy Inv. Soc., London, Nov. 1906. 1907 Artikelen. "The Songs of Degrees". 1908 Boek. "The Chief Musician: or, Studies in the Psalms and Their Titles" (see 1904, The Titles of the Psalms , and 1907, The Songs of Degrees ). Truth For Today, Lafayette, Ind. 1908 Artikel. "Canonical and Chronological Order of Scripture: Samuel and Jeremiah". 1908 Artikel. "Try the Spirits". 1909 Boek. "The Companion Bible. Part I. Pentateuch". 1909 Artikel. "The Doxology of Romans (16:25-27)". 1909 Artikel. "The Selah in Psalm 44" (see 1908, The Chief Musician ). 1909 Artikelen. "The Selah of Psalms 46, 47, 48" (see 1908, The Chief Musician ). 1910 Boek. "The Companion Bible. Part II. Joshua to Job". 1910 Boek. "The Story of the Breton Mission". 1910 Artikel. "The Site of Zion". 1910 Review. Trusting God in Sickness: A Review of Two Pamphlets , by Philip Mauro. 1910 Review. When Did This Dispensation Begin , by Ada B. Habershon. 1911 Boek. "The Companion Bible. Part III. Psalms to Song of Solomon". 1911 Boek. "Great Cloud of Witnesses in Hebrews Eleven" (see 1907, Hebrews 11 ). Kregel Publications, Grand Rapids, Mich.
1911 Artikel. "Alnwick and Glanton". 1911 Artikel. "The Breaking of Bread". 1911 Artikel. "Difficulties in Dispensational Teaching". 1911 Artikelen. "The Lord Hath Spoken: The Foundations of Dispensational Truth". 1912 Boek. "The Companion Bible. Part IV. Isaiah to Malachi". 1914 Boek. "The Companion Bible. Part V. The Four Gospels". 1914 Artikel. "Abraham Believed God". 1914 Artikel. "The Accomplished Decease". 1914 Artikel. "The Christian's Standing, Object, and Hope". 1914 Artikel. "Crucified with Christ". 1914 Artikel. "The Cursing of Balak and the Blessing of God". 1914 Artikelen. "The Dispensational Plan of the Bible". 1914 Artikel. "I Am Black: I Am Vile. I Am Undone". 1914 Artikel. "Mephibosheth: or, the Kindness of God". 1914 Artikel. "Nehemiah: or, the Kindness of God". 1914 Artikel. "Peter's Fall and Peter's Recovery". 1914 Artikel. "They Sang His Praise. The Soon Forgot His Works". 1914 Artikel. "Three Attitudes and Utterances of David". 1914 Artikel. "Truth for the Day of Trouble". 1915 Artikel. "Athaliah and Jehosheba". 1915 Artikel. "The Days of the Upright". 1915 Artikel. "Divine Promotion and Preservation". 1915 Artikel. "Earth's Curse and Its Removal". 1915 Artikel. "Five Postulates for Interpretation". 1915 Artikel. "A New Creation". 1915 Artikel. "The One Sacrifice". 1915 Artikel. "The Pharisee and the Publican". 1915 Artikel. "Praise for Divine Goodness". 1915 Artikel. "The Woman of Canaan". 1921 Boek. "The Companion Bible. Part VI. Acts to Revelation". 1922 Boek. "The Companion Bible." Kregel Publications, Grand Rapids, Mich.
Boek. "The Foundations of Dispensational Truth" (see 1911, The Lord Hath Spoken) Truth For Today, Lafayette, Ind. Muziek. "A Prayer Hymn for Those in Active Service". Arr. By George Arthur Clarke, Boston, Mass. Whittemore Associates, 1942. Words by Isabella Stephenson. Music by Ethelbert William Bullinger.